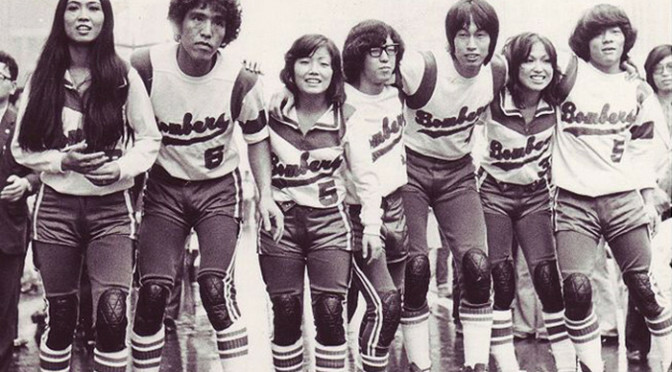 Roller Game Japan (or simply, “Roller Game”) is a Japanese variant of roller derby developed by Hiroshi Koizumi in the late 1980s. In the early 1970s, starting at age 15, Koizumi skated as a Roller Games player in Japan. Taking that experience, he created a roller derby game for flat track play that would keep the speed and action found on the banked track. The Japanese version of Roller Game is unique. No time is kept, but instead a game plays out in sets of jams, as would a tennis match have sets of games; whichever team wins the most points in a set, wins that set. Additionally, every jam only has one jammer on the track at any given time, with offense alternating between teams on every jam. The game is also very much full-contact. All players wear hockey padding, and the jammer wears a full-face helmet for his or her protection. Roller Game Japan has had periods of prominence and periods of hibernation through its history. A 4-team league made a large splash in Tokyo in the early 1990s to the point where a special banked track Roller Game Japan event was held against a team from the United States. After staying dormant through the late 1990s, the game made a brief comeback in the early 2000s, only to be mothballed a few years later. 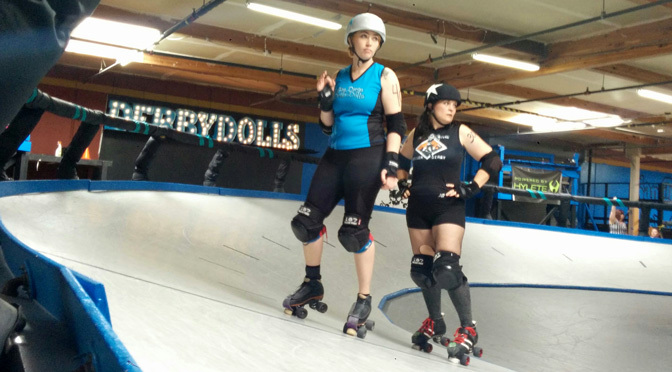 The modern roller derby renaissance has brought Roller Game Japan back once more, with games happening several times a year at Koizumi’s Tokyo-based roller rink. 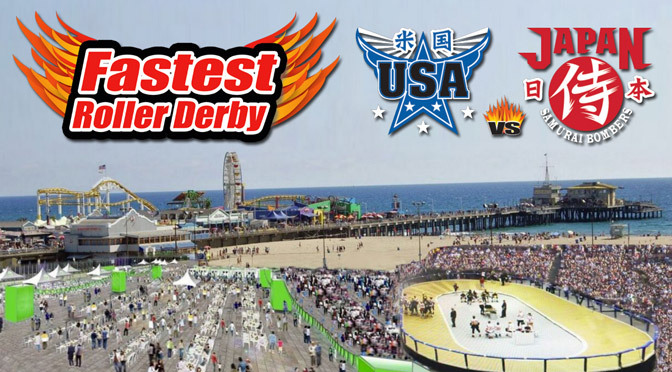 The USA vs. Japan matchup will do more than showcase the high-octane Japanese style of derby. It could be the genesis of a legit pro league.